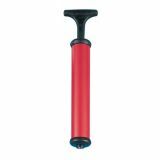 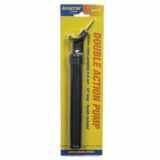 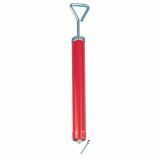 The compact and effective Champion Sports Personal Hand Pump features a double action design, which releases air on both the push and pull motion. 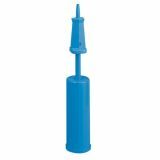 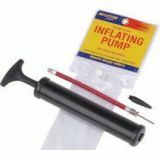 This pump is designed with a needle that reverses and can be stored inside the pump. 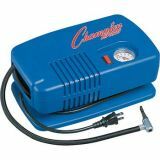 The Champion Sports Deluxe Electric Inflating Air Pump features a whisper quiet 1/4 HP diaphragm compressor that delivers up to 50 PSI. 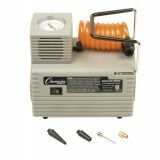 It is powered by an 8ft three prong 20 volt electric power cord and an on/off switch. 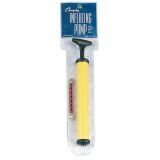 The Economy Electric Inflating Air Pump features 1/10 horse power and 100 volts of power activated by a simple on/off switch. 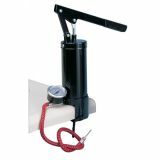 It is AC rated to 20 PSI and features a pressure gauge, an inflation hose, and adapters to fit different ball types. 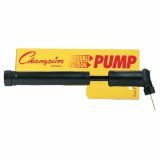 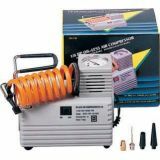 The Champion Sports Table Top Air Pump is a handy inflator featuring an all steel construction and adjustable table clamp, so you can secure the pump to the edge of any table. 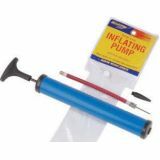 The pump includes an air hose, pressure gauge, and inflating needle.